Who said that an EP release can’t be exciting and can’t be expected by the fans with huge anticipation? 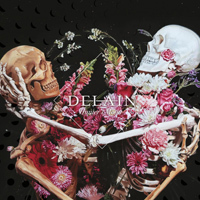 Well, in the case of Dutch Rock sensations DELAIN, this is exactly what’s happening with their brand new “Hunter’s Moon”, the second EP release during their 17-year course in the business, if my memory serves me right. This time, Charlotte Wessels and the gang tease us a bit more, before the release of another full length with their stardust-laden Symphonic Metal, with four new studio tracks accompanied by a live Blu-Ray from their sold-out ‘Danse Macabre’ tour across Europe in 2017, including ten live songs, featuring many special guests, with NIGHTWISH’s Marco Hietala stealing the limelight. Are you excited yet? Let’s go! 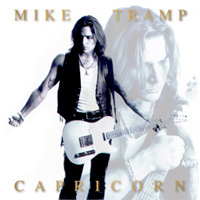 20-something years after its original release, Mike Tramp’s first solo album “Capricorn” is being re-issued through Target. And for sure it is a fantastic way to celebrate a great record that has been hard to get lately. At a first glance, this record was too soft for my taste. Something I say about every Mike Tramp release, but as it spins, details start to crystalize. There are layers of music to discover and the balance between the instruments are fantastic. Musically, it differs from what Mike did prior to this, with melodic WHITE LION and grungy FREAK OF NATURE. This is yet another style and this too suites Mike’s characteristic voice perfectly. And after getting around the album, everything is actually not all that soft. Some decades ago hosting an album presentation of non-traditional Metal album on a Metal webzine would have been an anathema despite the fact that we, metalheads, like to believe that we are free from discrimination being opened minded. Yeah right, I cannot even attempt to count the instances when metalheads were bashing a band for deviating from their sound... Anyhoo, METAL KAOZ does not belong to any category and pretty much hosts whatever feels heavy enough. However, in the case of Daron Malakian, things are heavier than one would be expecting, considering his involvement in SYSTEM OF A DOWN. By the way, the latter band was granted “access” into the Metal community and I believe SLAYER helped in that by taking them on the road with them some ages ago. 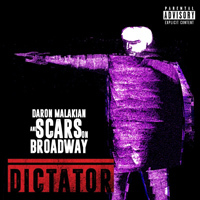 “Dictator” is Daron’s second album under the SCARS ON BROADWAY moniker, and if I believe the information I found online, the music was supposed to be for SYSTEM OF A DOWN but the singer/guitarist did not see eye to eye with the other gentlemen. So, one decade since “Scars On Broadway”, Daron dropped another solid piece of strong music with stronger lyrics. There were a couple of things that stood out on my first encounter with the Danes of MERIDIAN. First and foremost it was that they managed to keep their Progressive Power Metal both heavy and catchy at the same time. Then, it was Lars Märker's voice; it's crisp and clear, quite boyish actually and create a great contrast towards to the heavy music. Still, it all fits really well together in its own unique way. 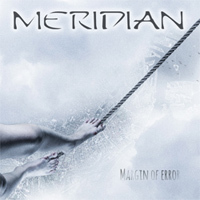 This perhaps makes MERIDIAN sound less heavy than they are but the combination works.